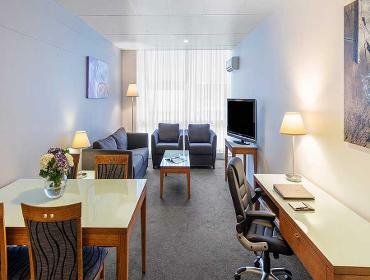 Park Regis Griffin Suites is conveniently located just minutes from Melbourne’s city centre, making it the ideal place for that important business meeting or conference. The hotel has two conference/function rooms accommodating boardroom meetings for 20 guests through to larger events for up to 120. 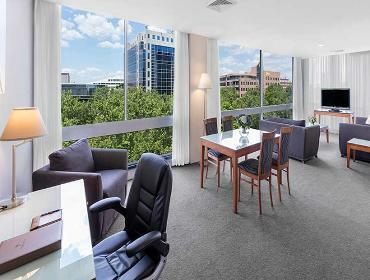 The St Kilda Road Room offers floor to ceiling windows and a large balcony overlooking St Kilda Road. This room is ideal for presentations, workshops, executive meetings or dinner events. 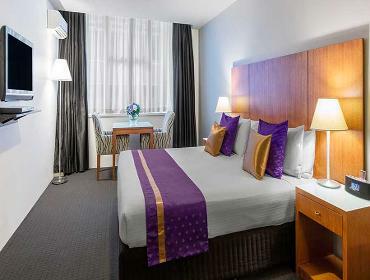 The Albert Park Room is a longer room perfect for theatre style presentations, boardroom meetings or workshops. 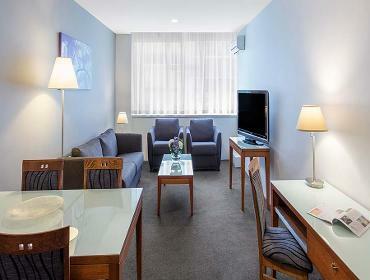 Please ask at Reception or the Café to view the rooms. To obtain further information regarding catering whether in the function rooms or at your office please ask at the Cafe. For more information call 03 8530 1800 to speak with one of our helpful Functions Team Members or send us an email. * Event must be valued over $800. 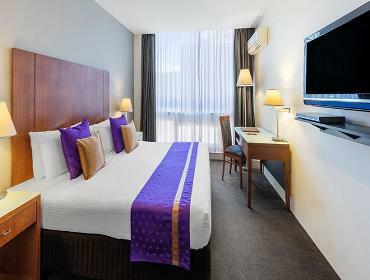 Park Regis accommodation voucher valued up to $150 and valid for 12 months will be sent after final payment is received by Park Regis Griffin Suites for any valid event. Not valid with any other offer. Click Here to send an enquiry via our enquiry form.